Today at the Synod briefing the press were told that a repeated theme in conversation in the Synod assembly was how the Church can be part of the digital world. For this, the Church needs “digital missionaries”. Dr Paolo Ruffini, Prefect of the Vatican Dicastery for Communications, started the briefing by listing a number of issues that had been spoken about in the general congregation of the Synod. He said that migration, both internally and externally in countries, was a hotly debated issue. Young people are, he said, concerned about the stewardship of creation. He said that the assembly heard that young people react negatively to corruption in politics. He also noted that it was said that young people want the Church to be a place of excellence. Other issues that arose included conscience, truth and mercy, teaching in catholic schools and universities and how drug use and alcoholism often led young people to crime. Present at the briefing today was David Bartimej Tencer, O.F.M. Cap., bishop of Reykjavík, Iceland; Rev Fr Abott Mauro Giorgio Giuseppe Lepori, O. Cist., Abbot General of the Order of Cistercians; Fr. Alois, Prior of the Taizé Ecumenical Community, France; and Fraternal Delegate Pastor Marco Fornerone from the World Communion of Reformed Churches. Dr Ruffini said that the issue of the pastoral care of young people in the digital world was discussed. The Synod pondered how the Church can be active in the world of social media where young people are. The Church, he said, wants to dwell in the digital world in an official and serious way. How should the Church form missionaries for the digital world and have people in the digital world who are protagonists of freedom and responsibility? The Church wants to be part of the digital world in a more structured way, he said. The Church actually has a very positive attitude, towards the digital world, Bishop Tencer said. It has been repeated many times that a computer or phone is not good or bad, it is neutral. He said that in Iceland they would be lost without the digital world. The Bishop explained how they organised catechism through skype. He says that he sat in front of a computer and was in contact with young people talking to them in a very real way. He encouraged them to download the Bible onto their phones, they are able to find things quickly. He said that this was not decay but a positive development. The digital world is moving the Church forward and this is good. Br Alois said conversion was mentioned often. He said that he feels the conversion of mindsets is taking place. Many Synod Fathers, he feels, all want to be closer to young people. He believes that this is leading to a conversion of the Church’s structures. He said that friendship is a recurring word. He would like to dig more deeply into the theological meaning of this word, look more deeply at Jesus as a friend. He said that young people want to be listened too but, at times, cannot find the door into the Church to be heard. He says that friendship as unity and solidarity should be explored. Br Alois shared that at Taize listening is fundamental, the whole Church needs to find a way of expressing openness and showing it, he added. Br Alois also mentioned the importance of ecumenism. 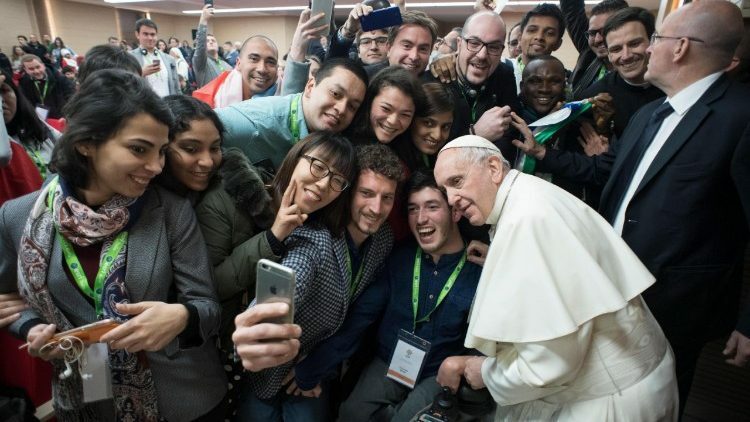 He said that there were not many ecumenical delegates – and perhaps there should be more – but that it was beautiful to see that there was a concerted ecumenical effort. He said that it was a pity that this was not mentioned enough in the Synod. He said that this was needed and young people are seeking ecumenical spaces to share with each other. He also said that the Church should not organise prayers for young people but pray with them. The Synod, Fr Lepori says, is like a construction site. You will never find an ideal method, as with anything in life, but you have to start from the ground and build a whole new building.